Oftentimes, a single hole can make or break the round for a golfer, and the same goes for golf courses. You’d be surprised (or not) how often the view of a single hole motivates people to book a round or a few hundreds of miles away. Some sell you the course with the sheer beauty of the view, others twang the nostalgia strings (Caddyshack, anyone? ), and yet others are notorious for being quite impossible to play under par (and golfers love nothing half so much as a challenge). 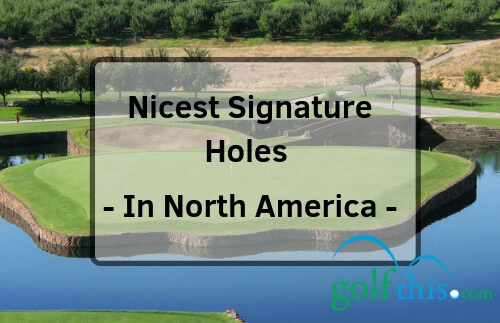 Down below, we have 25 of the nicest signature holes in North America, spread more or less evenly between Canada and the US, with advantage to the latter. Of course, a caveat is in order – don’t take the order as any indication of quality degree of being challenging. Signature holes are simply those that people talk about the most. Whether it’s because the marketing department of a particular hole has a sinister ploy to create a buzz or folks really enjoy it is beside the point. One last thing to note – the selection you see here is by no means a definitive list, it’s just the ones we thought most people might enjoy, and your mileage may vary. So, with these caveats in mind, let’s get stuck in. Cypress Point Club, aka the Sistine Chapel of Golf, sits pretty near Monterey, California, overlooking the Pacific Ocean. The combo of sand dunes, rugged coastline and the eponymous cypress woods make for a veritable feast for the senses, so it’s small wonder that a great number of golfers think fondly of this Alister Mackenzie-designed par 72 course. As for the signature hole, the majority of people who’ve actually played there argue it’s unfair to single any one hole. That said, the 16th seems to fit the bill. It’s a 234-yard par 3, which you can tackle in two ways. You can either drive it over the ocean for a spectacular shot (or the Pacific claims another ball, depending on your swing), or take the safer route through the fairway on the left. The best part is it gets riskier when it blows, and it blows a lot. Right in the Cypress Point Club’s neighborhood we find the Pebble Beach Golf Links, another crowd favorite and one of the most popular courses in the US, so much so it’s been voted (anonymously) the best public course. Moreover, Jack Nicklaus has stated that if he had only one more round to play, he’d choose Pebble Beach, and if the man says something, you can take that to the bank. This par 72 course was designed by Jack Neville and Douglas Grant, and has hosted five US Open tournaments (the sixth is set to take place here in 2019). As for the nicest hole on the hole course, it’s a rather thankless task, seeing how they’re all signature-material (a cliché if you’ve ever read one, but still the best way to describe the course). Still, if we had to single one out, it would be the Number 8, a par 4 hole with a tricky shot over the Pacific after some 240 yards from the tee. It’s also got a severe slope on the green going back to front – safe to say it’s not for the faint of heart. And that’s not counting the wind. Harbour Town Golf Links is what you get when you combine a formidable golf-course designer such as Pete Dye and even more formidable golfer such as Jack Nicklaus (the man’s got a knack for designing golf courses, as you’ll see presently). The course features a number of terrific par-threes and a challenging par-four No. 18 that will give you bragging rights from Hilton Head Island to Vancouver Island. On a more serious note, though, the eighteenth hole at Harbour Town Golf Links is not only a tough nut to crack in terms of gameplay, but also provides a lovely backdrops for all kinds of shots (golf and camera ones), what with the lighthouse and the yachts in the marina. As for the gameplay itself, you’re looking at a fairly safe drive, followed by a tricky long-iron shot into a Lilliputian green with water hazards in play. Mind the wind, though, it gets draughty. People say that when it comes to golf courses, there’s elite, then there’s super elite, and then there’s Pine Valley elite. Pine Valley is tucked away in New Jersey, somewhat down the road from Clementon Park & Splash World. Funny thing is, if you asked people living close by for directions, rarely anyone would be able to tell you – that’s how private it is. ..The course is, and this is putting it mildly, not easy to get into, and you really need to “know a guy”, as it were. That said, once you’ve got in, you’re remembering every hole there for sheer challenge every one of them provides. It’s an 18-hole, par 70 golf course, without any clear winner with regards to signature holes. That said, if you twisted someone’s arm hard enough, they’d probably point to the 18th hole, a monster of 483-yard par 4 with an elevated tee shot along carry from the back), then over sand, water, and then sand again to the green. Oakmont Country Club is about 15 miles from Pittsburgh’s city center, and was described as one of the hardest golf courses by Phil Mickelson himself a few years back (after the 2016 US Open, the ninth hosted by this course). There are a few holes worth noting, to wit Numbers 1, 3, 10 and 17, but the one people take pictures of the most is #3. The Number 3 is a 288-yard par 4 hole, and it’s designed with the idea of teeing up and landing just short of the green, then chasing it onto the dance floor. This second shot is one of the most uphill shots on the course, which leaves a blind approach to a gently-sloping green that leads away from the fairway. The key to a successful shot is distance control, otherwise the ball may roll downhill. The most iconic part of the hole is the Church Pew Complex (originally designed by Henry Clay Fownes way back in 1903) on the left side of the drive zone and the deep bunkers on the right, both equally important to avoid. 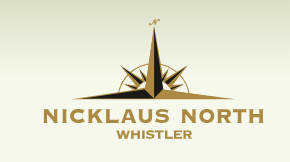 Out of the many courses The Golden Bear has designed or helped design (just shy of 300), there are less than ten of them that bear the man’s name, and Nicklaus North in Whistler, British Colombia is one of those. As you may have surmised, the course is closed during winter months, due to harsh weather, though the restaurant is open almost year round (closes for about a month in early spring). The 17th hole at Nicklaus North is certainly one of the nicest signature holes in North America, and features as such in almost all listicles you’ll read about this topic. What makes it this 213-yard (from the blue tee) par 3 is bordered by Green Lake its whole length, affording a wonderful view. In terms of gameplay, there are a couple of things protecting the green – the smaller bunker to the right of the green and its larger counterpart that wraps around the back and the left. The hole plays downwind, and the safest bet would be playing to the right of the green, just shy of the smaller bunker, and then just chipping or putting for the win. Banff Springs Golf Club sits pretty in the shadow of Mt Rundle, in a valley surrounded on all sides by the Canadian Rockies. People say that the view from this Stanley Thompson-designed course is so spectacular only the most experienced and dedicated golfers will be able to focus on the game. And the best thing? It’s open to public! Regarding signature holes, it would definitely have to be the Number 4, aka the Devil’s Cauldron. A 200ish-yard par 3 over a picturesque lake, the hole doesn’t sound like it deserves the moniker. However, once you’re standing on the elevated tee hidden right under the skirts of Rundle Mountain, looking over a tiny green across the now sinister-looking lake, you understand how it got the name. And even if you land it safe on the first go, then you have to negotiate a number of greenside bunkers! It’s worth noting that the hole isn’t playable until late May, due to being located so close to the mountain, so you should maybe save your trip for early summer. The Players Stadium Course at Sawgrass is probably one of the most photographed pieces of real estate in golf, especially the number 17. The course came into being a brainchild of Deane Beman, an erstwhile PGA Tour Commissioner, the goal being to create the most balanced golf course that would be the Players Championships’ permanent home. With the help of Pete Dye, of Harbour Town Golf Links fame, the good commissioner did just that. Talking about signature holes, the Number 17 at TPC Sawgrass, aka Island Green, regularly makes the cut into this type of articles, so we’ll make no exception. It’s a par 3, running a mere 127 yards from the blue tees, but you know what they say – size isn’t everything. The tricky bit is evident from the moniker – the hole is situated on an island (a peninsula, technically, accessible via a narrow walkway), and has virtually no bail-out. It’s surrounded by water on all sides and subject to the whims of winds that can whip up without a warning. Tiger Woods even called it “too gimmicky for the 17th hole of a championship”. Did you really think any listicle featuring signature holes could go without mentioning Caddyshack? True, at the time the movie was made (1979/80), the club was still known as Rolling Hills Country Club, but in 1999 it got a new owner, a new name and a slight makeover. The course was downsized, but the designer Raymond Floyd made sure to keep the choicest parts. Of these, there are a few even casual golfers would recognize – Number 9 still affords a view on Al Czervik’s condos, Number 12 saw him dance and annoy the living daylight out of Judge Smalls, while the 17th still features the lumberyard Danny Noonan got lost. However, the signature hole, by the club’s own choice, is Number 18. It’s a gorgeous double-green par 4, measuring 419 yards from the tips. The one on the left-hand side is protected by water, while the one on the right has a false front to keep up. And if the novelty of the double green does sell the hole, the view on the bridge and the course’s signature tree most certainly will. TPC Scottsdale is a two-course complex, namely the Stadium Course and the Champions Course. For our part, we’re interested in the former. The course was designed by Tom Weiskopf and Jay Morrish way back in 1987, and it was freshened up in 2014 to pose more of a challenge. Now, what’s so special about Number 16? In short, it’s the only hole on PGA Tour to be fully enclosed – the entire setup is surrounded by grandstand seats, making the hole look more like a baseball stadium than anything else. The design even earned it the nickname “Coliseum”. The stands seat up to 20,000 people, with no grass seating allowed, and it can get rather loud on Saturdays during the WM Phoenix Open (Saturday being the busiest day, so the stands get filled to the brim). As for gameplay, the 16th is a 163-yard par 3 hole, with a slightly elevated tee and three greenside bunkers. It’s not particularly challenging, but the cheers and jeers from the fans certainly add a lot of pressure. 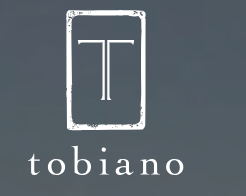 British Columbia positively brims with wonderful golf courses offering unforgettable views and, hopefully, memories, and Tobiano is certainly one of them. This course, designed by Tom McBroom is somewhat of a new kid on the block, having been opened in 2008. The course borders Lake Kamloops its whole length, and is said to look like nothing half so much as a “moonscape with turf”. The course, much like its namesake (Tobiano is an equestrian term for a multicolored horse) is a veritable patchwork of lovely designs that make for a par 72. The most photographed hole, however, is Number 7, a 197-yard (on Tour tees) par 3 which involves a daunting shot over a canyon. The tees at Tobiano are in general difficult, but top tees should only come into consideration for single-digit handicappers. Bandon has become sort of a golfers’ Mecca in recent years, and with good reason. The Pacific Dunes Golf Course has been in operation there since 2001, and in this time, it’s become quite popular with the wider audience. The length of this par 4 hole ranges from 444 yards on the black tees to 250 on the blue ones. The Pacific protects the left-hand side of the hole its entire length, even going right up to the left side of the green, while on the right you have the sand dunes that give rise to the name of the entire course (with a particularly nasty greenside bunker to the right). Obviously, as the hole is so open to the ocean, wind becomes a major factor, so don’t get too adventurous with your approach shots. Once you get closer to the dance floor, watch for the false front of the green – distance control is the operative word. Can you imagine a golf course so upscale you need to take a boat just to get to it, and then get back to it to reach one of its par 3s? Well, that’s Coeur d’Alene for you. Scott Miller, the course designer, took an already scenic lakefront property and turned it into a stimulating par 71 golf course, fairways lined with geraniums, petunias and a plethora of wildflowers, not to mention the tens of thousands of junipers. The immaculate fairways and greens are complemented by equally picturesque roughs, as well as a pair of mahogany boats and a flotilla of luxurious carts to get around the course. Of course, the entire experience is pricey, but worth every penny. If you have this course on your bucket list, be sure to make the most out of its 14th hole – the famous Floating Green. What sets it apart is not the fact you need to take the Putter shuttle to get to it, but the fact it’s movable. Don’t worry, the tee is computer-controlled, allowing for timely changes in distance, so it won’t float away while you’re mid-swing. As far as gameplay goes, this is a par 3 hole, covering 175 yards from the blue tees, protected by not only Lake Coeur d’Alene, but also a couple of greenside bunkers on the moving platform itself. After you’ve sunk the putt, the boat captain will hand you a certificate of achievement, which is a nice touch and a perfect proverbial cherry. The club offers two courses to its members – the Mountain Course and the Canyon Course, both designed by Tom Fazio and both featuring some fast greens. For our part, we’re interested in the former, since that’s where we find the signature 3rd hole. This is a rather short par 3 following a couple of par 4s. The Number 3 is well known for its elevated tee, which is both daunting and exhilarating. Daunting because the sheer vertical drop may look scary, but also exhilarating for the terrific view it affords. That said, but the green is generous enough to not intimidate mid handicappers, and the 3rd isn’t the only hole with an elevated tee – only the best known. The National Golf Links of America, aka NGLA was founded way back in 1908 and then the actually built three years later, making it one of the oldest courses on our list. It was designed by a Canadian-American duo, Charles B. Macdonald and Seth Raynor. Both designers were heavily inspired by the courses in the UK, most notably St Andrews, Prestwick, North Berwick and Sandwich. The National was renovated in 1994 by Karl Olson, which pretty much kicked off the restoration process across the world. The National’s signature hole is, without a shadow of a doubt the Number 16, affectionately named the Punchbowl. It’s a short one, some 146 yards par 3, though the perennial wind blowing in your face might make it seem longer. That said, the green on this hole is the widest on the course, with the exterior sloping into the bunkers and the center sloping gently to the right. The safest bet would be to play to the left of the pin and then let gravity do the work. Merion is known for being rather exclusive (not Pine Valley level of exclusive, but still); it’s not reserved solely for the members, but a member has to accompany you at all times if you want to play there. Assuming you manage to get in, you’ll be greeted by a pair of lovely courses with an old-timey feel to them – Merion East and Merion West (for our part, we’re interested in the former). This used to be a single course with incredibly long history (dating back to the 18th century), but in 1912 the members hired Hugh Wilson to design Merion East, which opened two years later. So far, the club’s hosted five US Open championships. The most iconic hole on the course is the 17th, a 246-yard par 3, by all accounts the hardest hole to make a GIR. The green is situated in a natural hole left from the quarry that used to be there, and it seems rather inviting to shots bouncing in off the left. That said, the green is flanked by so much deep rough you’re likely to see some odd bounces and infuriating lies, so arm yourself with patience if you mean to play it. The Fairmont Jasper Park Lodge Golf Course (what a mouthful!) will celebrate a century of existence in 2025, which is in and of itself an accomplishment. It is said that it took two hundred men an entire year just to clear the terrain for the course. The course was designed by Stanley Thompson (of Banff Springs fame), and was renovated in 1994 using Thompson’s original plans from the 1920s. The course is considered one of his best works, with fairways cutting through thick woodlands, following the lay of the land and making optimal use of the landscape to give you a spectacular view of the Canadian Rockies. The most striking hole on the course, by popular opinion, is the 9th, aka Cleopatra. This is a challenging par 3 measuring 231 yards from the blue tees, with deep greenside bunkers to the back, left and right. The best way to tackle it is to tee up trying to land just short of the green and then chip it to the dance floor. The land we know as Nebraska used to be the bottom of an ancient ocean, and much of its territory is an expansive tract of the Great Plains we know as the Sand Hills. The rolling hills of the impressive landscape are pure sand (drumroll, please), meaning you’re basically playing in a huge bunker. All jokes aside, the course at Mullen is anything but monotone – the wide open spaces and rolling hills may seem daunting at times, but never dull. The Number 1 at the Dunes Course is big, just like everything there. The two men responsible for designing and building it, Bill Coore and Ben Crenshaw made sure the course reflect the state it’s in. The hole is a 549-yard par 5; you tee up off a sand ridge and into the valley below, and onto an undulating fairway pinched by a couple of deep bunkers. The safest way to play this is by playing to the back of the green, or else you risk your ball rolling back some 50 feet into the fairway or, worse yet, into a greenside bunker. Much like the Sand Hills Club, Cabot Cliffs is yet another course designed and built by Bill Coore and Ben Crenshaw. In a nutshell, Cabot Cliffs is a course for superlatives – the view of the ragged coastline of Cape Breton is reason enough to visit, but combine it with golf and you get a must-see for your bucket list. There are two courses, the Cabot Links and the Cabot Cliffs, the latter being the better known and, arguably, the more stunning visually. The signature hole at Cabot Cliffs is the 1st, a par 5 running 473 yards from the blue tees (581 from the blacks). The most striking part of the hole is the approach to the tee – as you near it, you’re greeted with a breathtaking view of the Atlantic Ocean, with Inverness snuggled on the coast, barely visible in the distance. The hole is designed to be welcoming rather than challenging, easing you into the course and giving an idea of the room you have available, both literally and in terms of strategy. The National GC of Canada (NGCoC henceforth) is notorious for being one of, if not the toughest course in Canada. 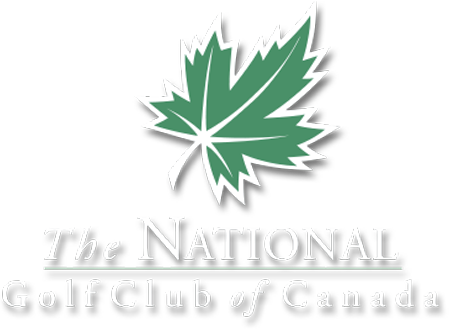 Designed by George Fazio and his nephew, Tom Fazio, the NGCoC has received critical acclaim within Canada and worldwide, often featuring in listicles such as this, consistently ranking in Canada’s top ten golf courses across the board. It’s hard picking the signature hole on the course as none really stands out. Normally, that would be a bad thing, but in this case, it’s because they’re all… memorable, for lack of a better word. The one that does have some prominence is the 17th, being the ultimate test on a course known as one of the strongest tests in Canada. It’s a par four, featuring trees on the left and water on the right, and topped off with a tiny, slightly elevated green hugged by several bunkers on three sides. British Columbia is chock full of beautiful golf courses, and Greywolf is no exception. Granted, this sounds rather sales-y, but it’s hard to avoid speaking in superlatives when you’re surrounded by such breathtaking views. It’s worth noting that Greywolf is a public course, so the biggest problem for prospective golfers is getting to Panorama. As for signature holes, the winner of the title is clear – Number 6, aka Cliffhanger (you’ll get why it’s called that as soon as you see it). This Doug Carrick-designed 200-yard par 3 is famous for the view and infamous for the winds that swirl up from Toby Creek Valley, hindering any attempts at gauging the shot from the tee. The safest way to play it is keep it to the right, seeing that the left, front and back is completely cut off by a vertiginous outcrop. The Riviera Country Club, aka Hogan’s Alley (on account of his winning streak at the course in late 1940s (three LA Opens and one US Open, all played at Riviera). For the cinematically inclined, it’s worth noting that the club served as a filming location for the 1952 classic rom-com Pat and Mike, as well as the 1951 biographical film about The Hawk himself, Follow the Sun. As for the signature hole, the 1st or 10th are both good candidates. The former is quite a photogenic par 5, and one of the most famous opening holes on Tour, while the latter is considered the finest hole at Riviera, and one of the top par 4s in the world. Still, if you twisted our collective hand, we’d opt for the Number 1, due to being the most easily recognized on the entire course. It features a raised tee sitting some seventy feet above the fairway, which is itself rather narrow, with out-of-bounds and rough flanking it on the left and trees doing the same on the right. The M-shaped green is protected by a bunker in front. As for Number 10, it’s beloved by an overwhelming majority of golfers who’ve played the course due to the strategic challenge it presents the players with. Take your pick. Shadow Creek received a lot of publicity when two golf giants, Tiger Woods and Phil Mickelson went head-to-head for the 9 million cash prize in 2018. (Spoiler: Phil won.) The course was sculpted rather than built by Tom Fazio in the 1990s, and it’s been a hot topic ever since. It’s open to everyone in terms of membership, but does cost a pretty penny to get in. Oftentimes you’ll hear people saying there’s no signature hole on a particular course because they’re all terrific, and most of the times it’ll just be a vacuous phrase, but in case of Shadow Creek, it holds weight. Whether it’s from the aspect of gameplay or just the sheer aesthetic impression, the entire course is just stunning (more so if we’re talking about the latter). One hole does stand out, though – the 18th, as if it were the proverbial cherry. It’s a 529-yard par 4 with and elevated tee and three lakes that cascade into each other flanking the fairway on the right, making a forced carry an inevitable course of action. In other words, it’s not for the faint-hearted. If there ever was a more appropriately named course than The Legend at Giants Ridge, we’d love to know about it. On a more serious note, the course is genuinely breathtaking, and has consistently been one of the top rated courses in the US since its inception in 1997. Many courses have a signature hole, and many contend all of their holes are good enough to be called that – The Legend falls into the latter. However, one hole does slightly stand out – the Number 17, aka the Cypress Point of Minnesota. This is a par 3 running 216 yards from the blue tees (226 from the back ones). It’s a daunting hole with a forced carry over an inlet of Sabin Lake. The landing area is plenty large, but there’s a steep fall to the left and trees on the right, and a bunker menacing from beyond the green. Speaking of which, the green’s elevated and there’s no place to run the ball up, so you have to make sure to carry the ball as far as possible. We’ll end this list big – with Pinehurst. If you’re at least half serious about golf, then you’re probably well aware of just how big the resort is. At Pinehurst, you can choose from nine courses, No. 2 being second to none. The courses were designed and restored by a number of big names – Tom Fazio, Ellis Maples, Jack Nicklaus and Donald Ross (responsible for the #2), as well as Bill Coore and Ben Crenshaw. It’s interesting to note that the No. 2 has the honor of being the first course to host both men’s and women’s US Open. As for the topic at hand, probably the most recognizable hole at No. 2 is No. 18. This is a challenging 453-yard par 4 that has a forced carry over a gaping maw of a bunker. In addition to the weight of playing on the last hole for the day, you’re also playing against the wind and uphill. The fairway narrows down at 275-yard mark, with sand flanking it on the right and tall weed on the left. Be careful not to come up short, or else you’re not getting onto the dance floor. And there you have it, 25 of the nicest signature holes in North America. It’s only fair to point out that it’s impossible to make lists such as this and make everyone happy – there are too many factors at play and the choice is staggering, to say the least. On that note, if you think we’ve left out some holes, feel free to leave a comment. Alternatively, if you’ve played some of these courses, let us know if the article does justice to their signature holes. This goes double if you disagree with the choice of holes on some of them. Until then, fairways and greens! Sign up for a Premium Membership today and save money on courses like this one!